While millennials have shown desire to become homeowners even though affording that move has been tough, the next generation has grown old enough to contemplate their desire to own a home. Older members of Generation Z, now 18-24 years old, are concerned about when they will be able to buy a home according to a new survey from RE/MAX. The survey, carried out by Leger Consulting, found that around three quarters of 18-24s in BC and Ontario are stressed when thinking about buying a home. And the desire is there with 46% of that age group who do not own a home, wanting to do so within the next few years; although 38% said they have no desire to become homeowners. The desire to own is strongest in the Greater Vancouver Area (51%) while those in the GTA are less keen (42%). "While the prospects of home ownership may seem daunting, that doesn't mean that Generation Z should give up hope," says Christopher Alexander, Executive Vice President and Regional Director, RE/MAX INTEGRA Ontario-Atlantic Region. "It will be more important than ever for financial institutions and real estate professionals to educate this generation and reach them through the platforms they frequent, such as social media and online." Becoming a trusted advisor through educating the next generation of buyers would be a wise move for mortgage and real estate professionals. The poll shows that about half of both Gen Z groups in B.C. (50%) and Ontario (45%) agree they have limited knowledge of the housing market but are interested in learning more. 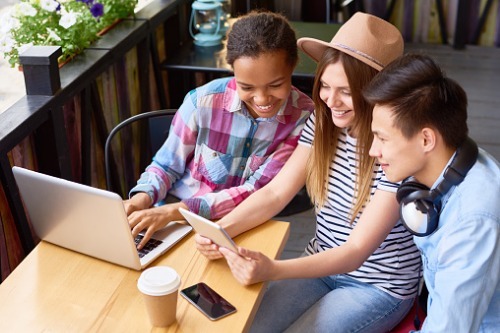 "Gen Zers are interested in learning more, and a greater effort needs to be made to educate them about the benefits and potential risks of home ownership," says Elton Ash, Regional Executive Vice President, RE/MAX of Western Canada. "As Gen Z looks ahead, it's important that they have a trusted team and good resources to turn to, to alleviate stress and empower them in the process to becoming first-time homebuyers in the future. While the survey showed interesting trends across two of the hottest markets, the Gen Zers we speak to are eager to become informed and excited about the future of home ownership."